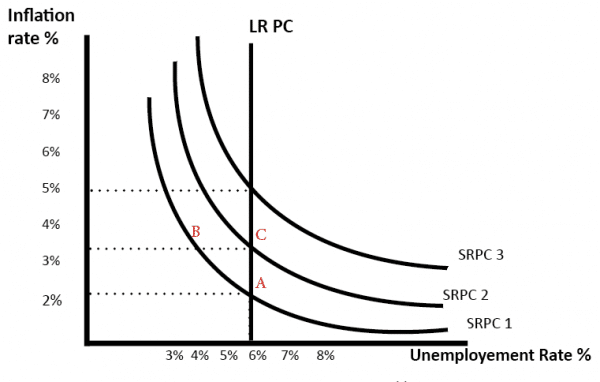 What Determines the Natural Rate of Unemployment? Availability of job information. A factor in determining frictional unemployment and how quickly the unemployed find a job. The level of benefits. Generous benefits may discourage workers from taking jobs at the existing wage rate. Skills and Education. The quality of education and retraining schemes will influence the level of occupational mobilities. Hysteresis. A rise in unemployment caused by a recession may cause the natural rate of unemployment to increase. This is because when workers are unemployed for a time period they become deskilled and demotivated and are less able to get new jobs. In the post-war period, structural unemployment was very low. 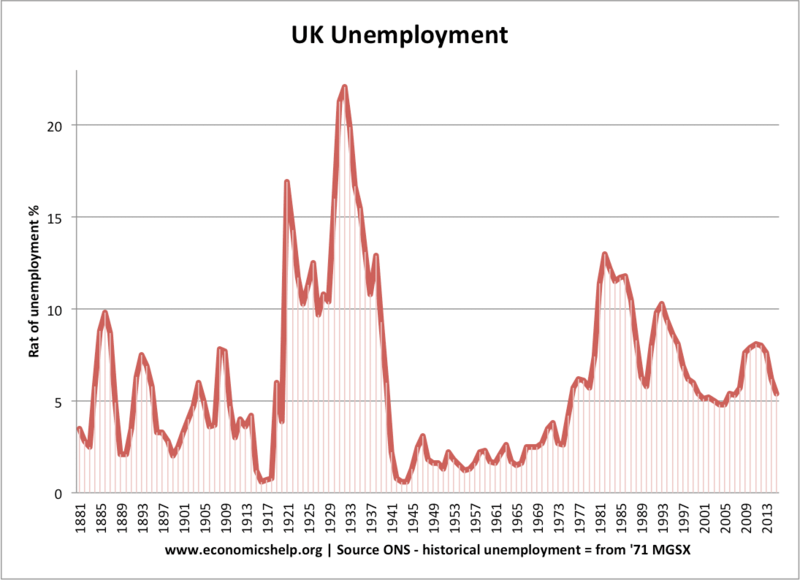 During the 1980s, the natural rate of unemployment rose, due to rapid deindustrialisation and a rise in geographical and structural unemployment. Since 2005, the natural rate of unemployment has fallen. Increased labour market flexibility, e.g. trade unions less powerful. Privatisation has helped increased competitiveness of industry leading to more flexible labour markets. Rise in self-employment and gig economy, have created new types of jobs. Increased monopsony power of employers, who have kept wage growth low, enabling firms to employ more workers. Harder to claim unemployment benefits. Even during the period of economic growth 2000-2007, unemployment in Eurozone is higher than US and UK. 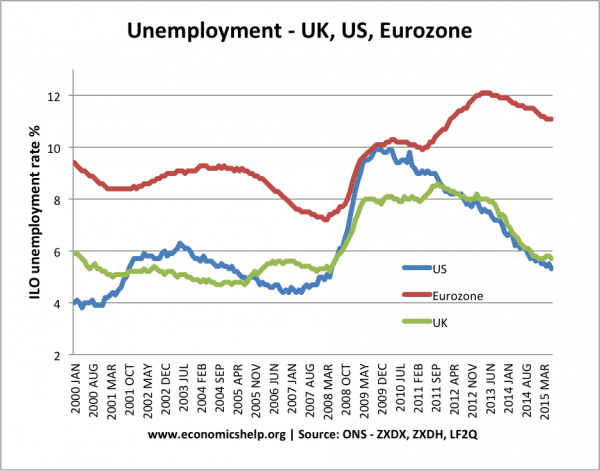 This suggests the Eurozone has a higher natural rate of unemployment. Restrictions on closing factories and mandatory severance pay for workers made unemployed, and this makes firms more reluctant to set up in these countries. Higher degrees of unionisation resulting in wage rigidity. Generous benefits which lessen the pain of unemployment. Growing competition from Asian countries, lead to structural unemployment from increased job competition. During 2012-14, the higher unemployment was partly due to lower rates of economic growth – caused by austerity, and deflationary pressures of the Eurozone single currency. A very similar concept to the natural rate of unemployment is the NAIRU – the non-accelerating rate of unemployment. This is the rate of unemployment consistent with a stable rate of inflation. 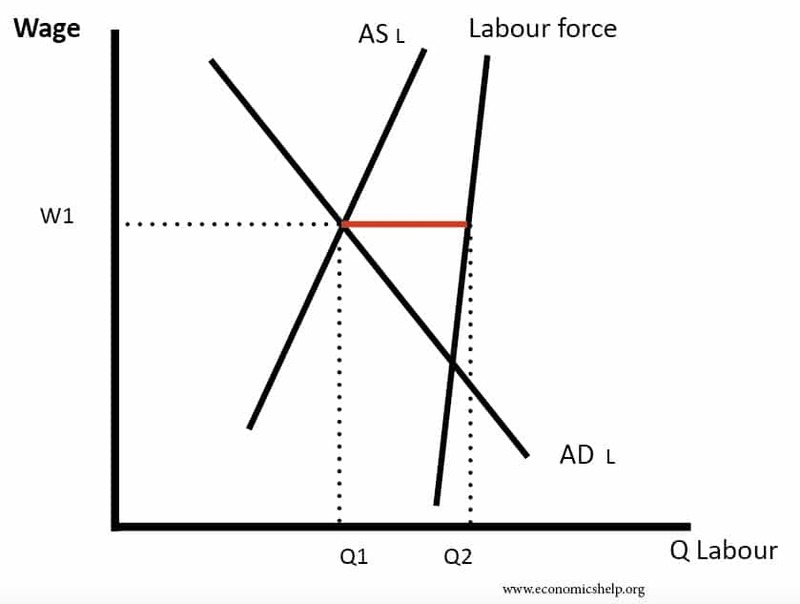 If you try to reduce unemployment by increasing aggregate demand, then you will get a higher rate of inflation, and the fall in unemployment will prove temporary. If there is an increase in AD, firms pay higher wages to workers in order to increase in output, this increase in nominal wages encourage workers to supply more labour and therefore unemployment falls. However, the increase in AD also causes inflation to increase and therefore real wages do not actually increased but remain the same. Later workers realise that the increase in wages was only nominal and not a real increase. Therefore they no longer work overtime. Therefore the supply of labour falls, and unemployment returns to its original or Natural rate of unemployment. It is only possible to reduce unemployment by causing an increase in the rate of inflation. Therefore the natural rate is also known as the NAIRU (non accelerating rate of unemployment. This model assumes workers do not correctly predict the rate of inflation but have adaptive expectations. Some economists argue workers will correctly predict higher AD causes higher inflation and therefore there will not be even a short term fall in unemployment; this is known as rational expectations. However, this fall in unemployment is unsustainable and the short run Phillips Curve shifts to SRPC2, and we move to (point C) and unemployment of 6%.